Is there any way we could adjust the built in LCD's calibration. Mine seems a bit off, not much but off. 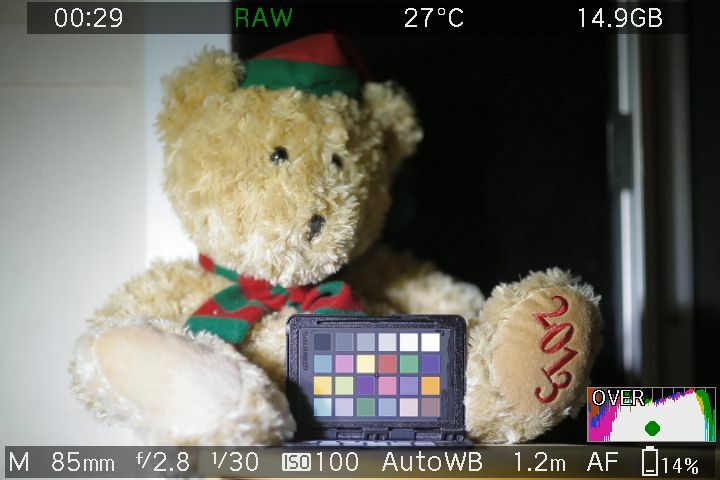 I suppose its also worth asking if it would be possible/easier to have the cam load an .icm file on boot, then a color calibrator would be used and the .icm transfered onto the card? The end result will be similar to this clip, but I need it to be raw video in order to work with linear measurements of the LCD brightness. Ideally, static (averaged) DNG frames matched with register settings, with some consistent naming pattern (e.g. the message displayed on the screen during the test should be transferred into the file name). As you can see, the task is a bit tedious and time-consuming, but there's no programming required. Once we have a mathematical description of what these registers do, it should be easy to extract the curves from an ICM profile and tweak the registers to get a close match. The "best" part: the registers are model-specific, so the test should be repeated for every single camera where this feature is desired. do you care about resolution/bit of the raw video or how the DNG is made from it?